The SanDisk Ultra Android 128GB micro SDXC card is perfect to add extra memory to your favourite portable music player. Transfer your music from the card to your PC at a no-wait rate of up to 80MB/s. 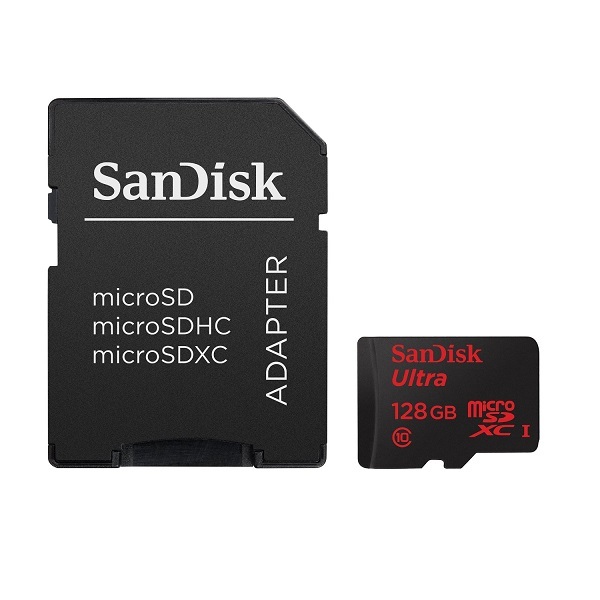 Built to perform in extreme conditions, SanDisk Ultra microSDHC and microSDXC cards are water proof, temperature proof, shock proof, X-ray proof and magnet proof. The SanDisk Ultra card is rated Class 10 for Full HD video and comes with a SD adapter and a ten-year warranty. 128GB of memory translates to roughly 320 of your favourite albums (1 album = 12 x 3.5 minute MP3 songs).